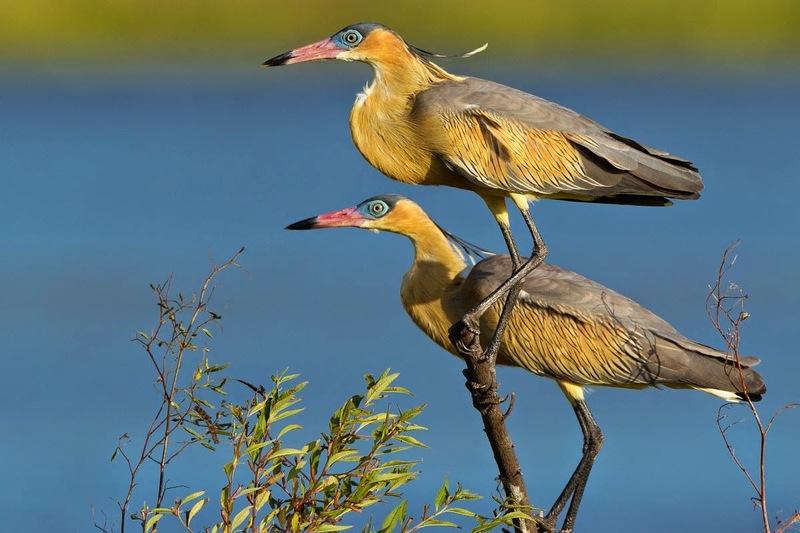 The two Whistling Herons that have taken residence at the pond in Playa Malibú (first seen on July 15 by Euclides Campos) have been visited by many a birder in the last few days. First were Venicio Wilson and Maurice Posner, who went there on the morning of Wednesday, January 7. 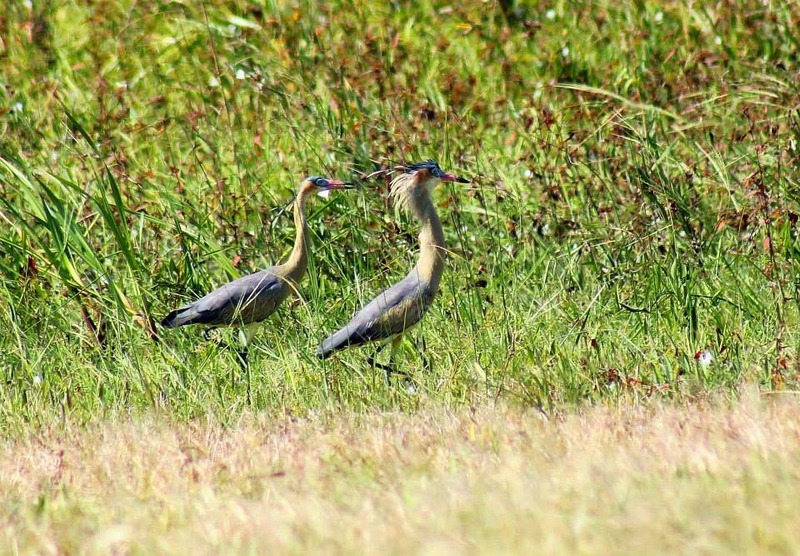 They found them on the fields north of the pond, where they also had a juvenile Tricolored Heron that may be the mysterious possible third Whistling Heron reported previously. The pond had Masked Duck and the Lesser Scaup reported previously, as well as many American Coots. On the morning of Friday, January 9, Delicia, Camilo and Darién Montañez tried yet again, this time successfully. 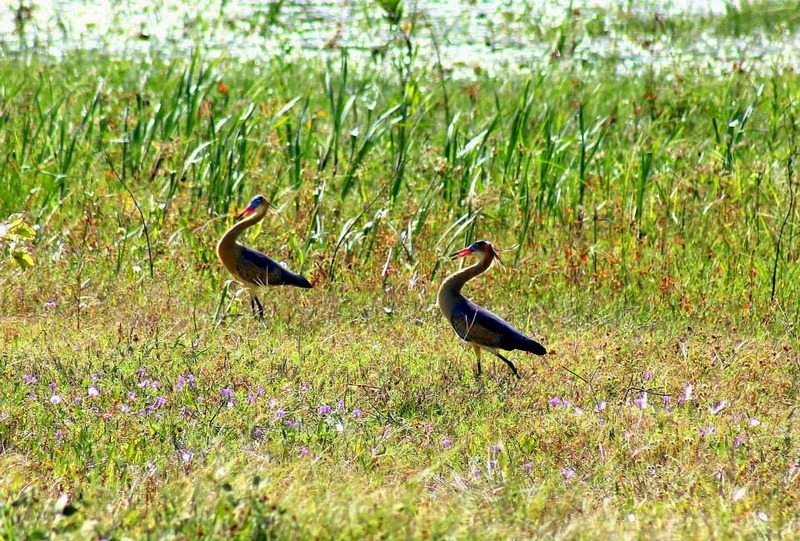 The two birds were on the edges of the greener grass around the small pond on the NE of the big pond. The juvenile Tricolored was also there, so caveat emptor. The pond had a raft of 6 female Masked Ducks (out in the open, too), lots of Coots and two Lesser Scaup. That same afternoon had Rolando Jordán visit, who took the photo above. And later in the day, Rafael Lau went too, this time accompanied by his wife, Ovidio Jaramillo and Juan Pablo Ríos, and managed the photo below. 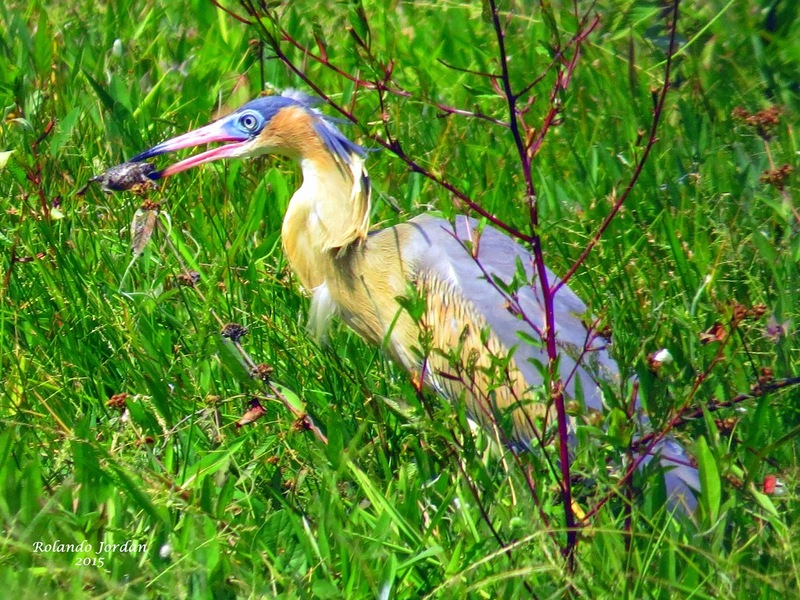 The plumes and brightly-colored bills and facial skin may indicate a pair in breeding plumage, so the question is, what are you waiting for?